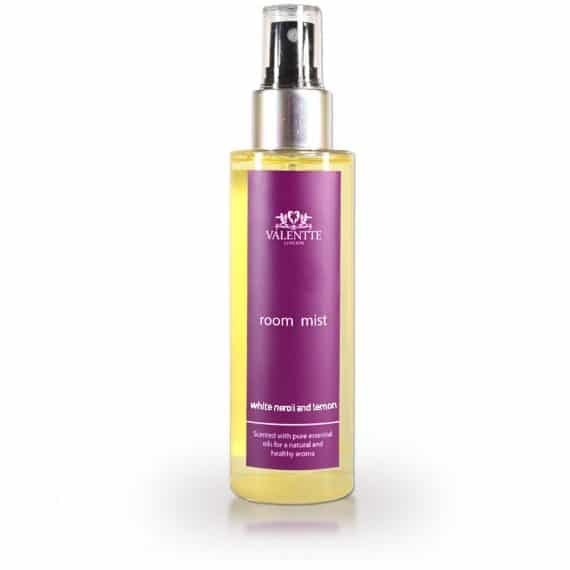 Our white neroli and lemon room mist is made with pure aromatherapy essential oils. No synthetic fragrances ensure you can spritz your pillow or upholstery and fill your room with a happy and uplifting aroma. I bought this looking forward to having the fabulous scent wafting through the house.....but it disappeared! Blooming cheek - next time I will have to buy extra to keep him supplied. So happy with this Room Mist. It compliments the candles beautifully and fantastic value for money. With just a couple of sprays my room smells amazing for hours! Beautiful and so relaxing - I’ve started spraying it in the bedroom and above the pillow just before getting in to bed. Bliss! What an amazing room mist so fresh and bring spring/summer in to the home in darkest winter. It is quite concentrated so you do not need much. Brilliant!! So much better than other room fragrances I have used. The fragrance is light and natural without being overpowering. A therapeutic blend of eight pure essential oils that will drive away sadness, invoking a feeling of joy and happiness while uplifting your overall mood. With it’s slightly sweet and citrusy top note scent neroli is very calming and makes you feel happy and at peace with your environment. Lemon oil is calming in nature and therefore helps in removing mental fatigue, exhaustion, dizziness, anxiety, nervousness, and nervous tension. It has the ability to refresh the mind by creating a positive mindset and eliminating negative emotions. Increasing concentration and alertness. Perfect accompaniment to the candle. Great for spritzing the room or the car. I spray it on the curtains before I go out. I’m greeted with a lovely aroma on my return. This is great to make guest rooms smell beautifully fresh and ready for your visitors to relax in. Alsi like to spray inside my car which makes journeys more of a pleasure. A wonderful spray, I spray on my bed linen for a lovely smell and like Liz will try it on my curtains too. It would be lovely if Valentte sold car fresheners. Leaves a beautiful aroma in the room, I usually spray it on my bedding and curtains. Just bought this from the Countryfile Live show, have sprayed on the dog beds as recommended and the living room & dogs smell much nicer ! Strong fragrance that lasted – not just a ‘spray and disappear’. Love it! For some reason I wasn’t able to leave a rating for the product, but it gets 5 stars! This is lovely sprayed on my bedding and curtains. 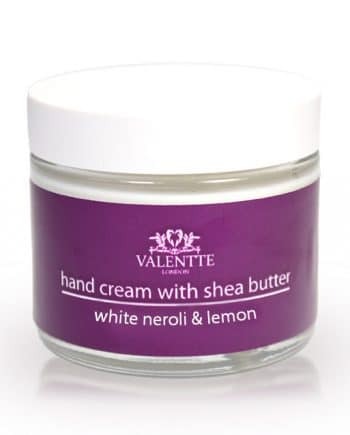 I decided to buy this after originally buying the same fragrance diffuser at a show…..
White Neroli and Lemon is my all time favourite scent, I absolutely adore it and that’s an understatement. I use this around the home on soft furnishings when having a quick spruce up and Valentte room mists are to be found in all 4 of our bathrooms. I also carry a room mist in my handbag and have been known to use it at work as it smells so much better than the ‘air fresheners’ . 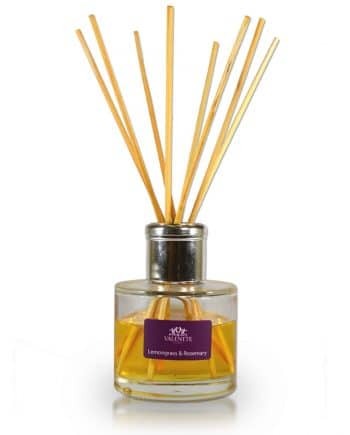 Absolutely amazing, I have over the years tried many room fragrances and this one is truly amazing and when in sale promotions is great value. Beautiful and so relaxing – I’ve started spraying it in the bedroom and above the pillow just before getting in to bed. Bliss! I bought this looking forward to having the fabulous scent wafting through the house…..but it disappeared! Blooming cheek – next time I will have to buy extra to keep him supplied.